The Loop 2 helps you stay active throughout the day with vibrating inactivity alerts. If you sit longer than 55 minutes, your Loop 2 will encourage you to move. Finding time for fitness is not always easy. The Loop 2 offers motivating feedback and personalized guidance to achieve your fitness goals. The Loop 2 displays your totals steps, calories burned, daily activity goal as well as the time. And best of all, it comes in lots of different colors... even one that sparkles!! This is the perfect gift for someone who is just starting out in fitness as well as someone who has been hard at work for many years. Yes, you have a chance here to win either a Polar Loop 2 or a Polar A300. The best part is Polar is letting the winner choose which one he or she wants! So here's your chance for "Santa" to get something for you too! I would LOVE the Polar A300!!! I need something to help me reach my fitness goals! This would be perfect! I have the Garmin vivosmart and would like the vivoactive. It has a built in GPS that I want so I don't have to rely on "accurate steps" or using the GPS in my phone all of the time. I'd love to get the A300- so cool! I would love a new Polar HRM! I just got a Garmin again after a few years of running "naked." Happy holidays! Thanks for the giveaway! the A300 would be a pleasant surprise! I would love to get ANY wearable fitness tracker. I haven't tried one out yet and there are so many great models that I just can't choose! I want to get a fitbit. I want this! Would be the best! I would love bluetooth earbuds. I need some new shoes for Christmas. Hoping for this one actually! I would love a Garmin. I would like a heart rate monitor. 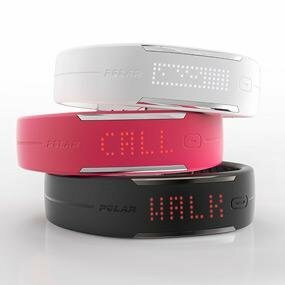 I really would love the Polar A300 Fitness and Activity Monitor! I would love any gadget that would track my sleep. I feel like I am not getting enough sleep and having too many periods of wakefulness but not really sure. I am hoping for some race entries in my stocking this year! An activity tracker would be nice too! I'd really like to have the A300 in my stocking. I would love a pair of indoor cycling shoes! I would like a Tile to keep track of all my stuff.